Preparing your kids for the start of a new academic year can be a daunting, difficult and expensive task, especially if its their first ever term at primary or secondary school and the last thing you'll want to do is to send your child to school unprepared, so we’ve put together the most important items your child could need for the new school year. 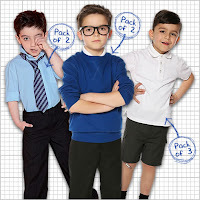 We’ve got a fabulous selection of uniform items in stock, from skirts and summer dresses to cardigans, trousers and polo shirts, all designed to make your child look ready and raring to learn. 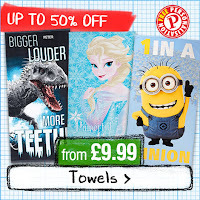 Prices start from only £3.99. Our range of kids’ shoes are made from the highest quality materials, meaning they can withstand a great deal of bumps and scrapes. 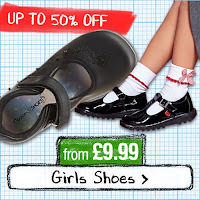 Brands include Kickers, Skechers, Pod, Hello Kitty, Hush Puppies and more, with prices from only £9.99. Coats are a must! 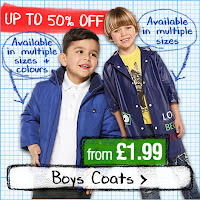 Its amazing how much kids shoot up height wise over the summer holidays, so if your child has had a growth spurt and their arms are now too long for their sleeves take a look at our lovely selection, we've a selection of boys coats from only £9.99, branded boys outerwear from £14.99 and a raincoat for only £1.99. 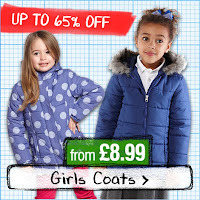 For the girls we've got coats from only £8.99, Branded Outerwear from only £9.99 and Raincoat for only £1.99. A good quality, spacious bag is essential for the start of the new academic year. Your child needs somewhere to store books, stationery, food, gym clothes and more! All our books bags and rucksacks offer plenty of space and are built to last. If your child is going to be taking packed lunches to school each day a lunch bag is a great idea, it'll keep sandwiches cool and stop them from getting squashed at the bottom of a school bag. 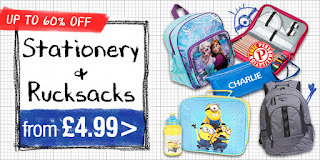 There is also nothing worse than having to borrow pens and pencils on the first day of a new term, so make sure your child is fully stocked up with our fantastic selection of stationery products. If swimming is on the timetable it's always worth checking the schools uniform restrictions. Some schools require children to wear regulation black or navy swimwear to tie into the uniform colour code. 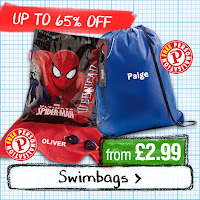 We've got a great range of both Navy and Black Speedo swimwear, which is perfect for school, and also a lovely range of both boys swimwear and girls swimwear which is ideal for any swimming occasion. Swimbags and Personalised Towels are also a good idea, and if the kids have their name on them they're a lot less likely to lose them! With a lot of homework now switching from paper to digital, it’s important to make sure your child has access to some sort of computer. 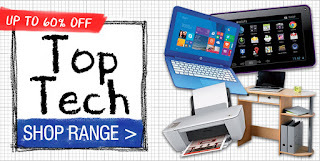 Here at Studio, we stock an incredible range of laptop and tablet bundles, all at amazing value.